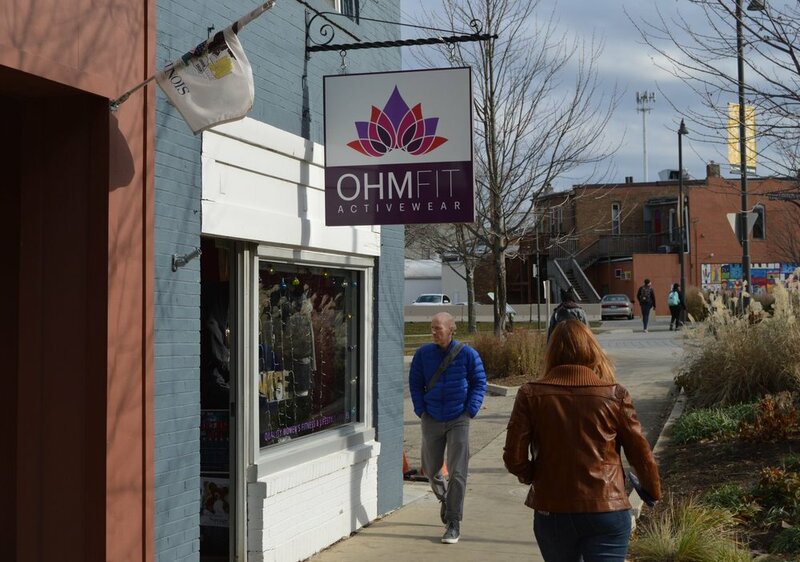 When the weather is nice, OhmFit Activewear owner Heather Young keeps the front door open, cheerful music spilling out, inviting in friends and strangers alike. Two years after opening her brick-and-mortar store in Uptown Normal, Young says her business is still small enough to be personal. 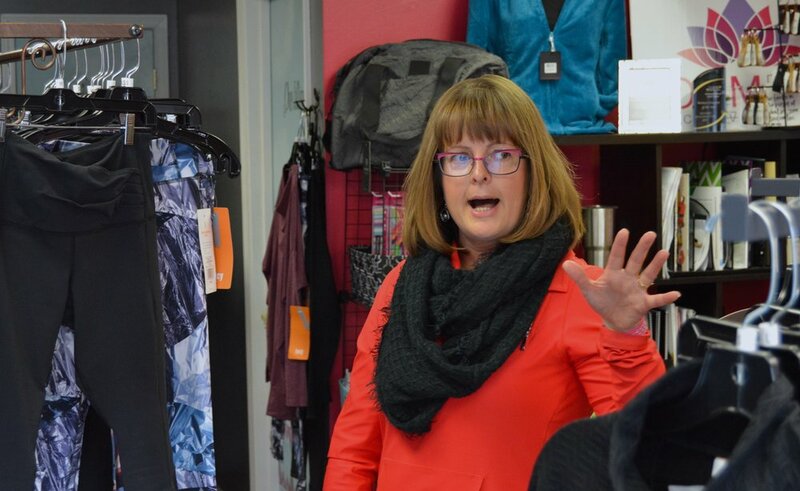 She often visits with customers who’ve known her since OhmFit began as a pop-up boutique in 2013. Back then, Young took her clothing to local spots like Specs Around Town and Fox & Hounds, hoping to meet like-minded women who shared her love of fitness and fun. She also found a personal friend and professional mentor in owner Carol Clover. OhmFit began selling at The Workout Company and other fitness studios like MyLeanBody Bootcamp, where Young developed an eye for women’s activewear needs. “I know the people who work out there and the type of fitness they enjoy. It really helps me decide, ‘Okay, what am I taking to them?’” Young said she's sold her products at multiple locations in Bloomington-Normal, from CrossFit gyms to yoga studios. She has also cultivated an inventory of tried-and-true activewear brands such as Lucy, Karma and Running Skirts. Now that she has her own brick-and-mortar shop, Young is happy to host other businesses’ pop-ups. “Anyone who comes to me, as long as we have even a shred of something in common, I’m going to say yes, they can do a pop-up here.” Young also brings OhmFit to offsite locations like Lakeside Country Club for ladies’ night-style events, complete with shopping, pampering, and cocktails. “Working together makes it more attractive for the shopper,” Young said. “When we do a pop-up here, or I do a pop-up at another business, it’s an exciting venture. It gives someone an added excuse to shop at Refine 309, or an added excuse to shop here.” Young said she’s just trying to pay forward the kindness and support she received when she first started. That sense of community makes Young believe she found her sweet spot with her North Street storefront. She also says neighboring businesses like The Garlic Press and Uptown Gifts create an atmosphere where women, herself included, love to spend hours at a time. “And we all work so well together. We’re branded well together, and our customers are very similar.” Young also credits the Town of Normal for its efforts to organize and promote events like Mimosa Mornings, which draw shoppers to Uptown. Someday Young hopes to open a second location with more room to host fitness and wellness classes. A larger store would allow her to offer classes such as yoga, essential oils, and healthy eating. Whatever happens, she plans to continue with her Uptown storefront.